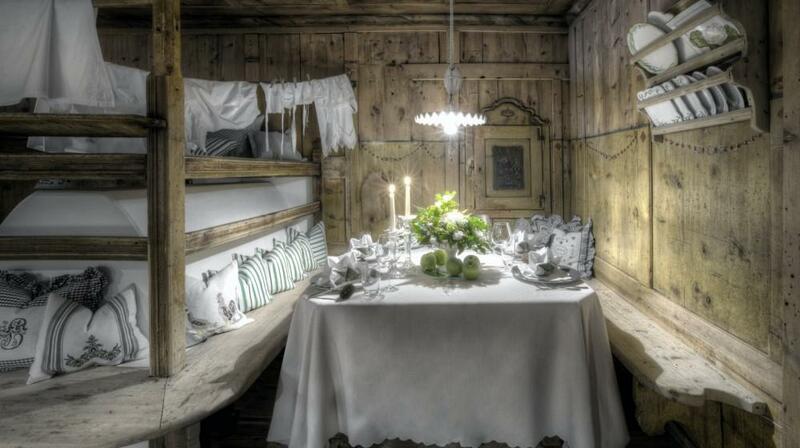 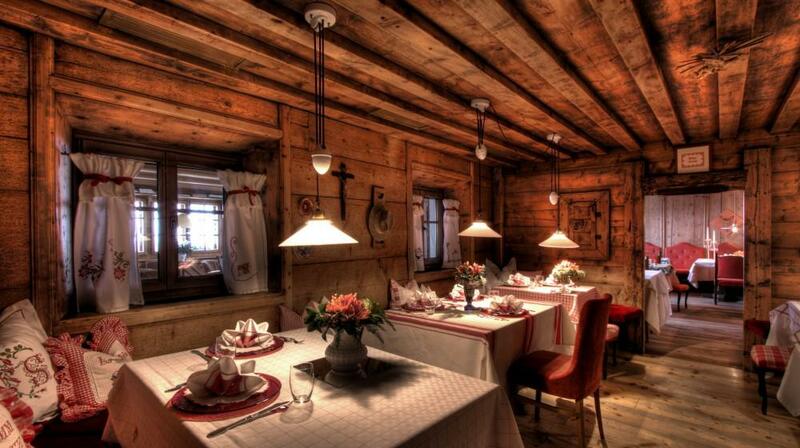 La Perla Hotel is a splendid Alpine lodge at Corvara, Alta Badia, in the middle of the Dolomites and is ideal for stimulating the emotions with hospitality in the old style. 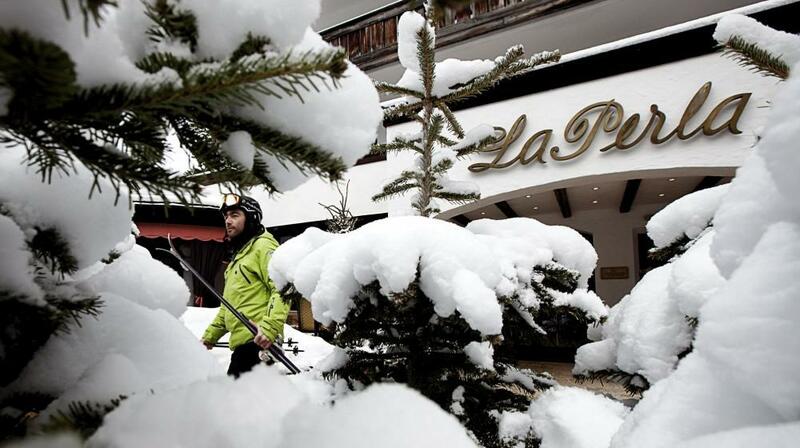 Its distinct Swiss style makes La Perla Hotel unique: the only Alpine resort which has its own motorcycle museum, full of old two-wheelers. 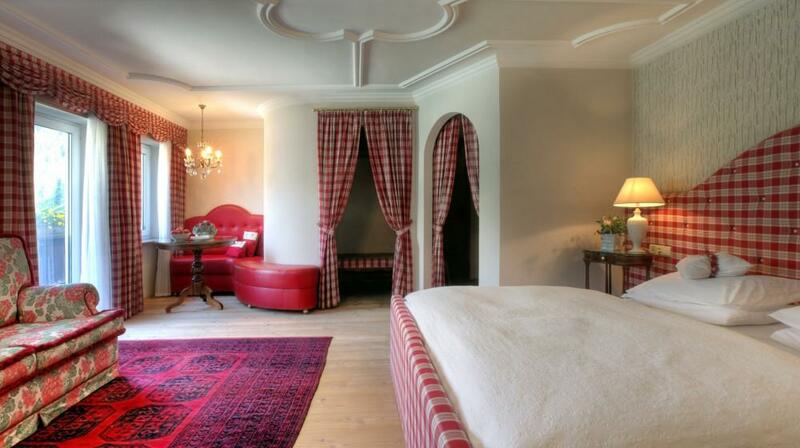 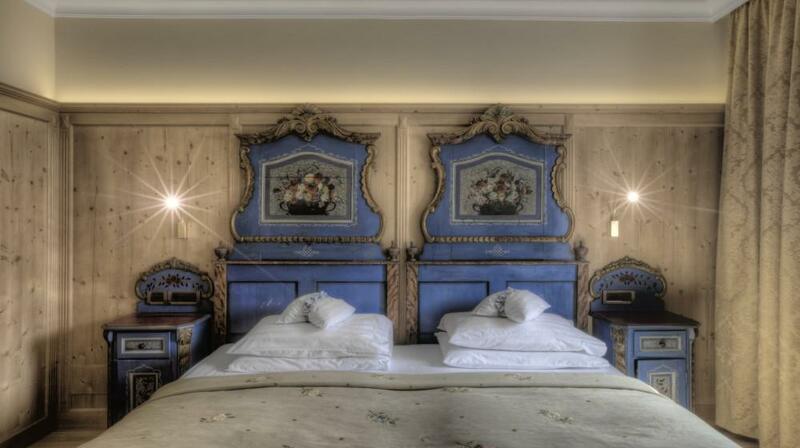 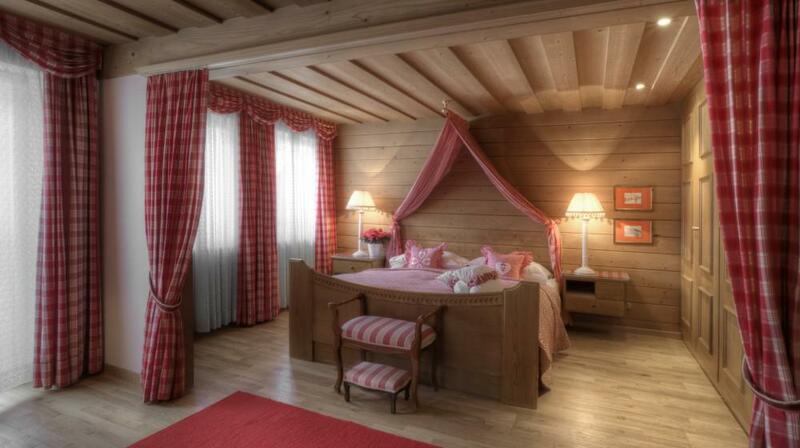 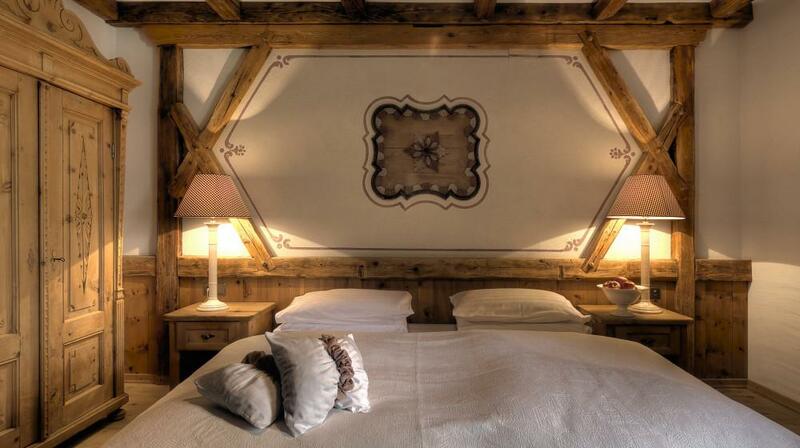 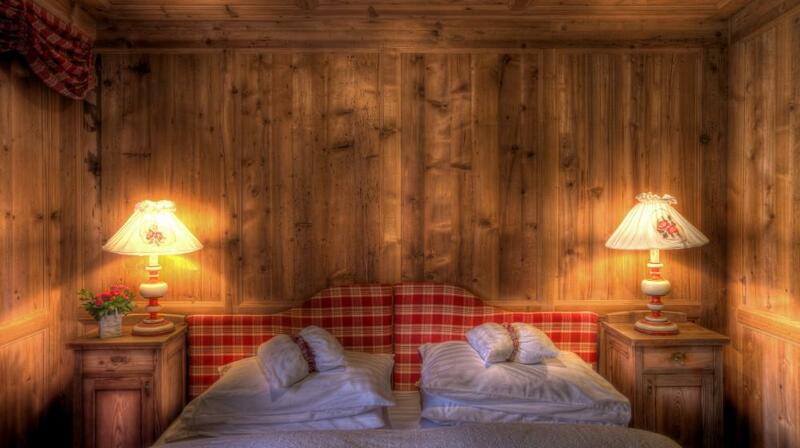 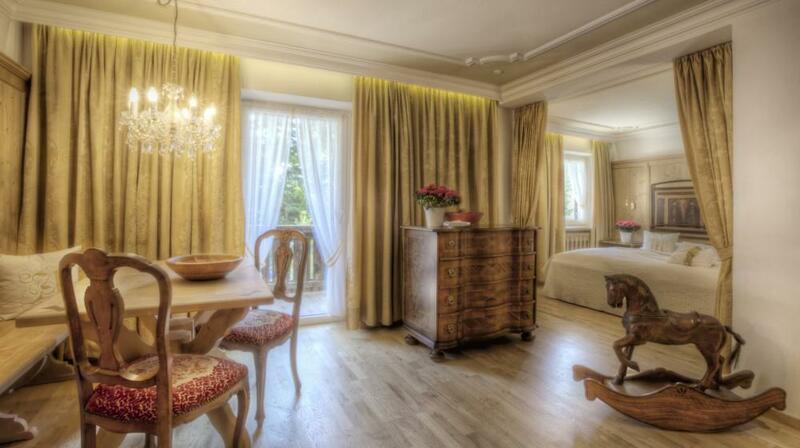 Guest rooms are traditional, with rustic wooden furniture , fine fabrics and carved bed headboards. 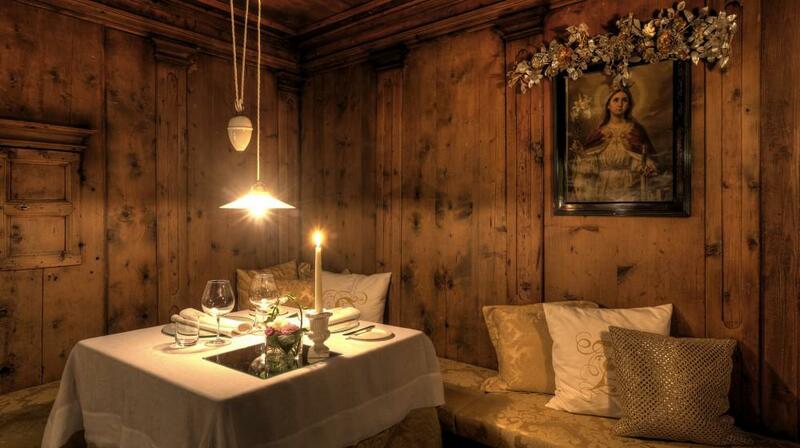 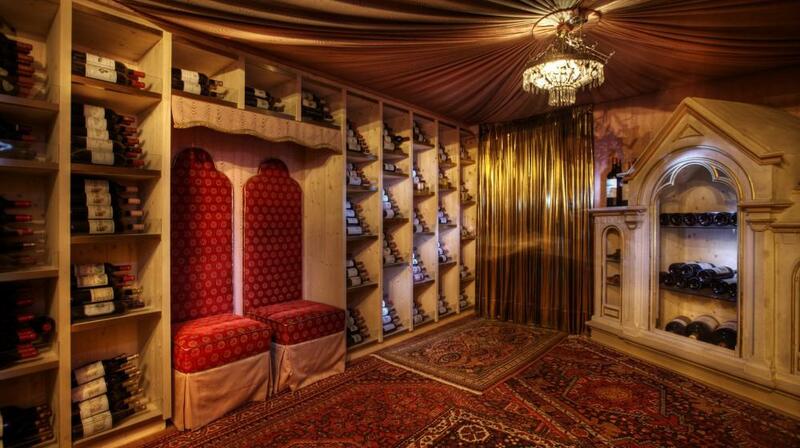 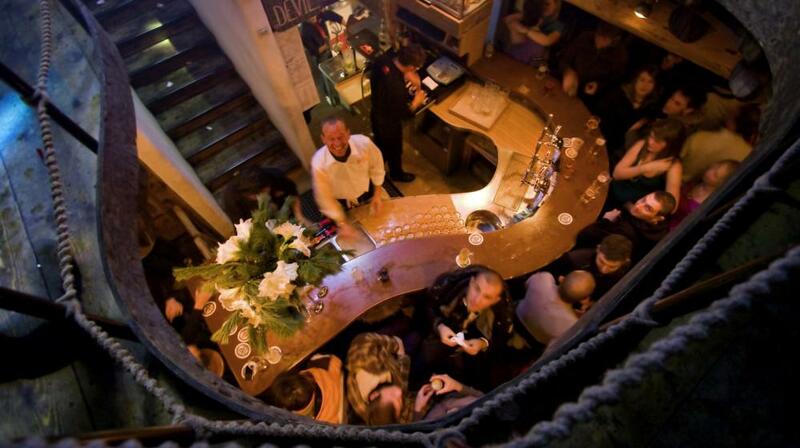 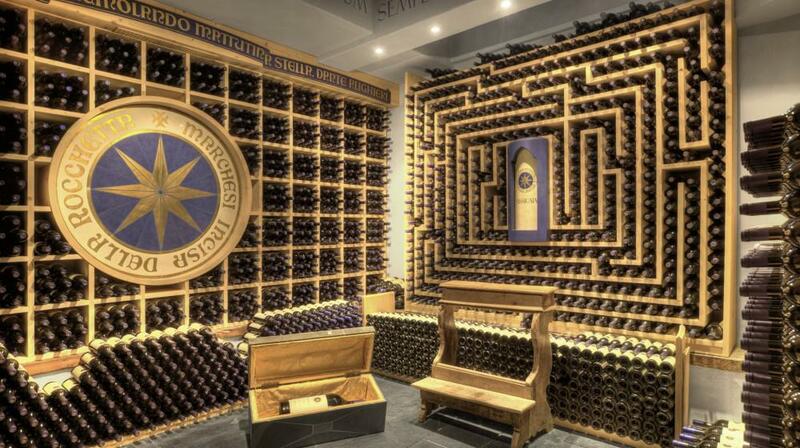 The common spaces and dining room have wood-panelling, wood-beamed ceilings and bottles of wine lining the walls. 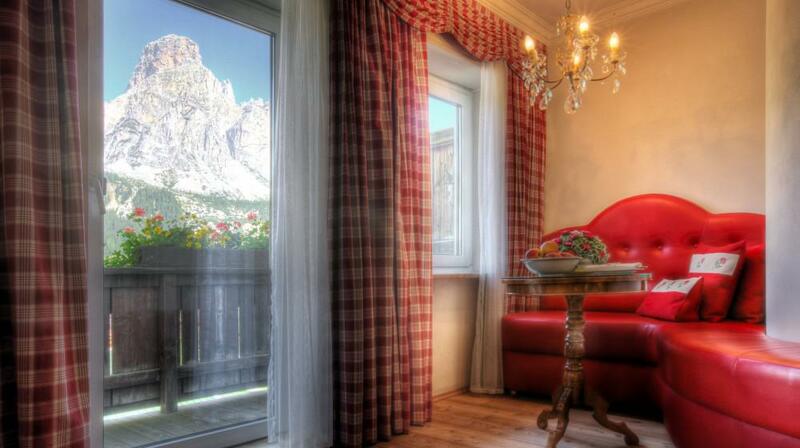 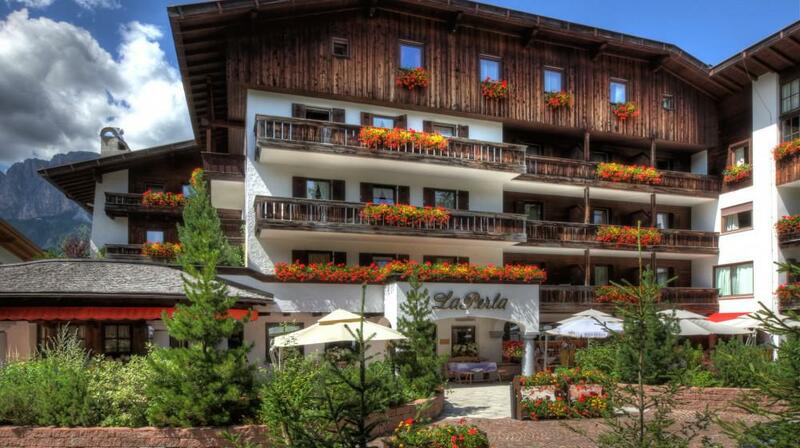 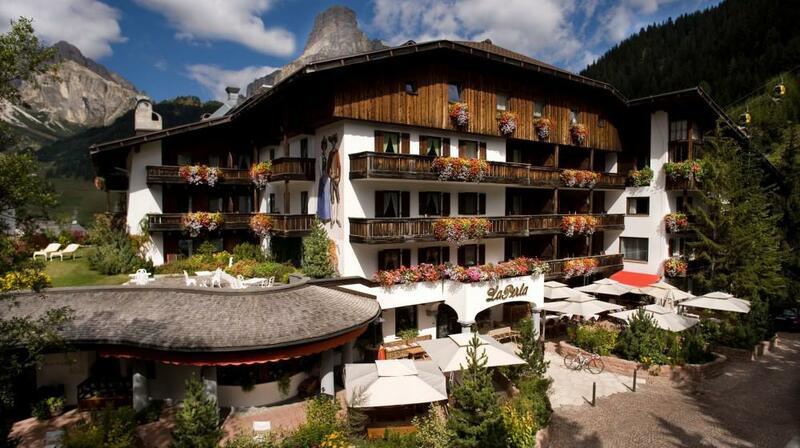 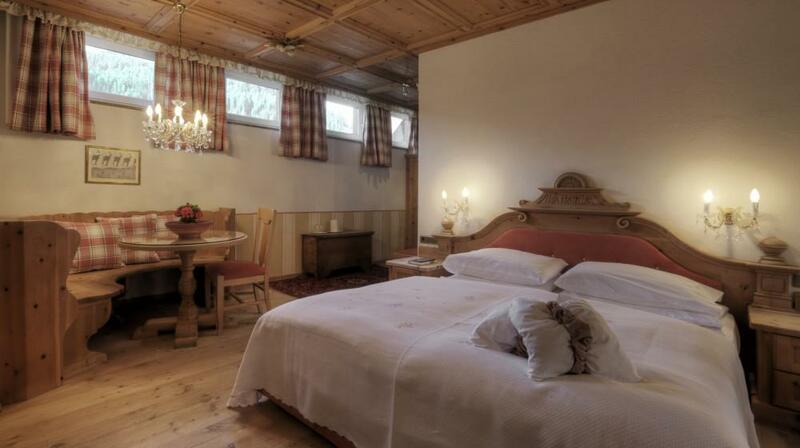 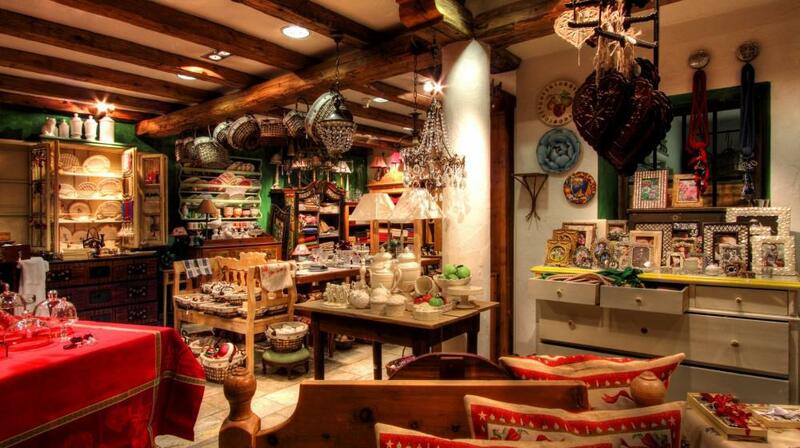 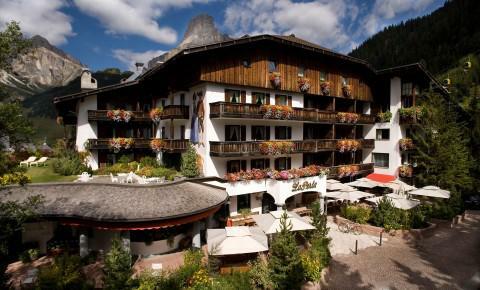 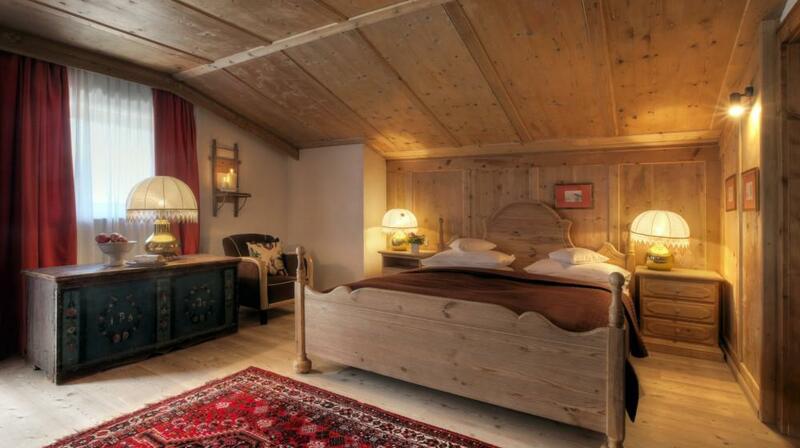 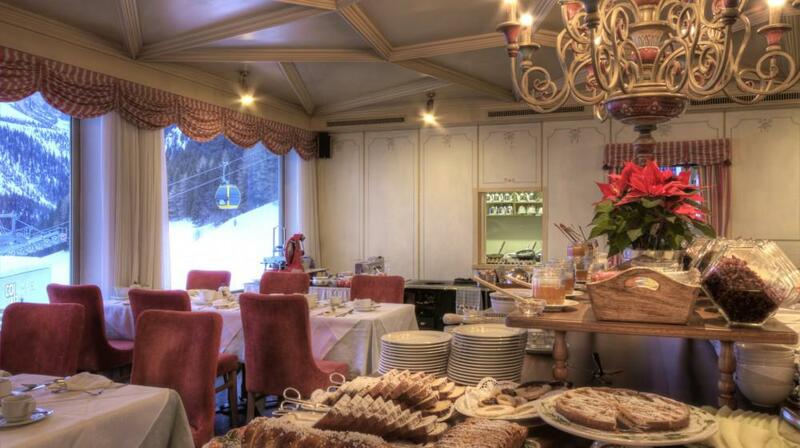 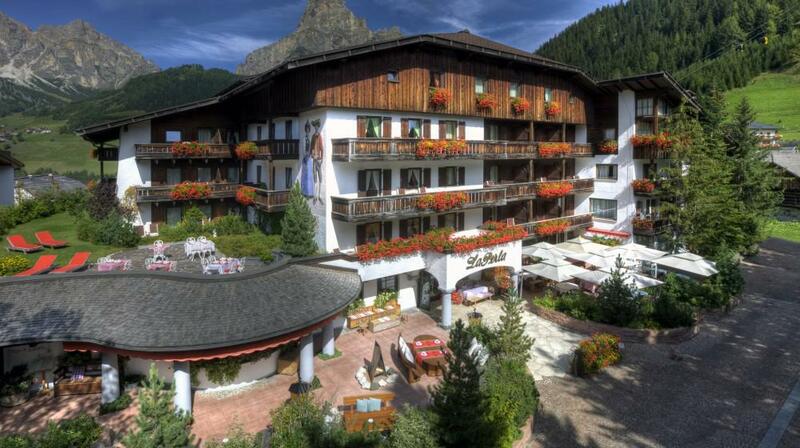 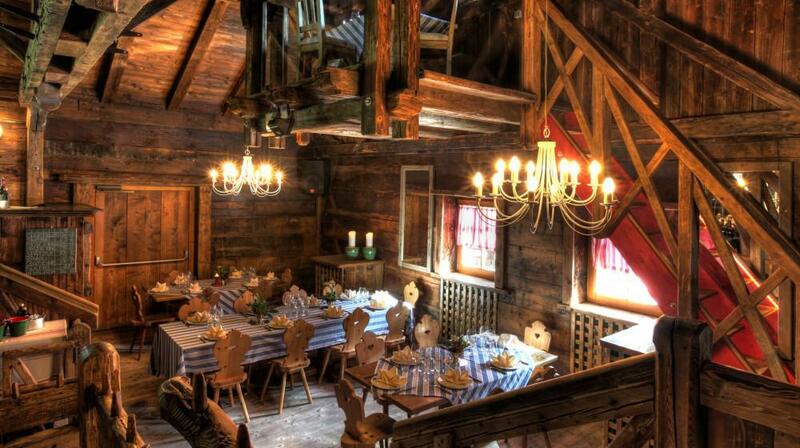 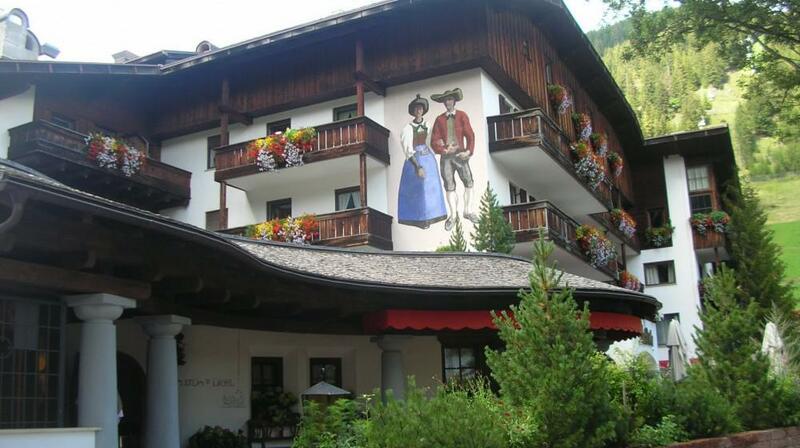 La Perla Hotel is surrounded by the Dolomite peaks and its natural environment is the main attraction. 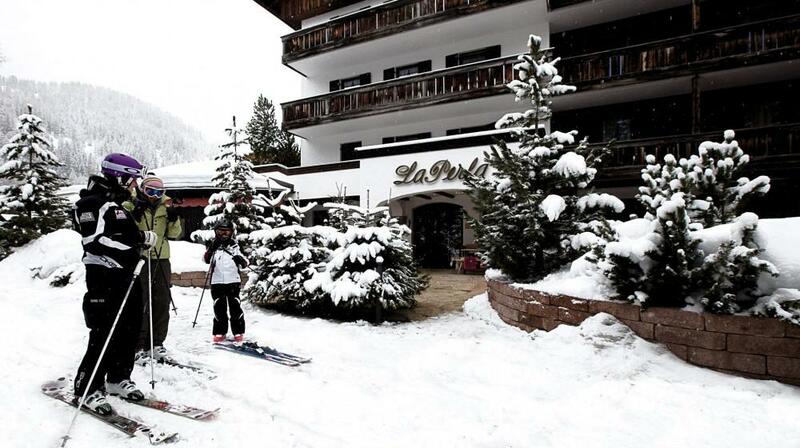 Skiing and walks in the snow are winter pastimes while the area offers splendid footpaths for excursions during the summer. 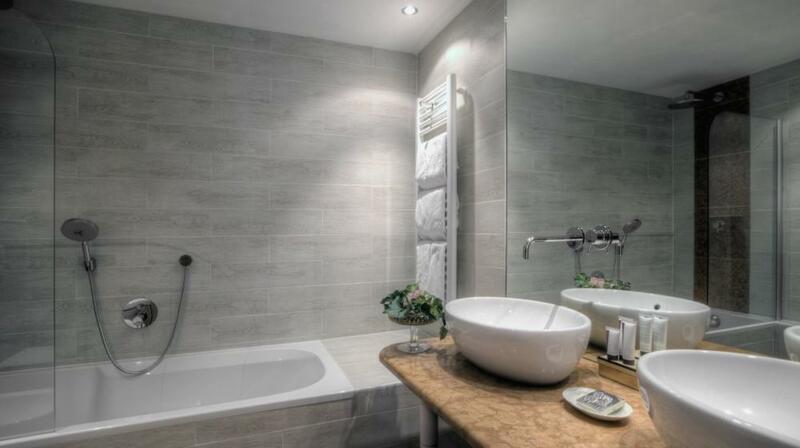 In the well-being area, there are open-air and indoor swimming pools, Turkish baths, saunas and Jacuzzi. 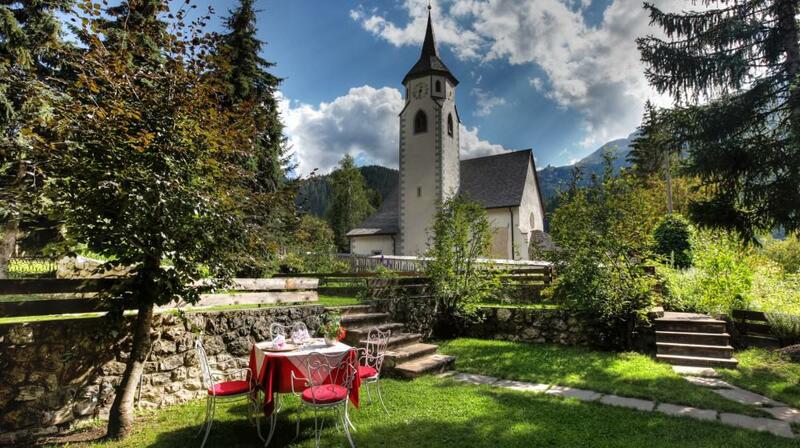 You can also try aroma-therapy, but the main attraction is the Alps with their historical fascination, making La Perla Hotel ideal for renewing mens sana in corpore sano (a sound mind in a sound body). 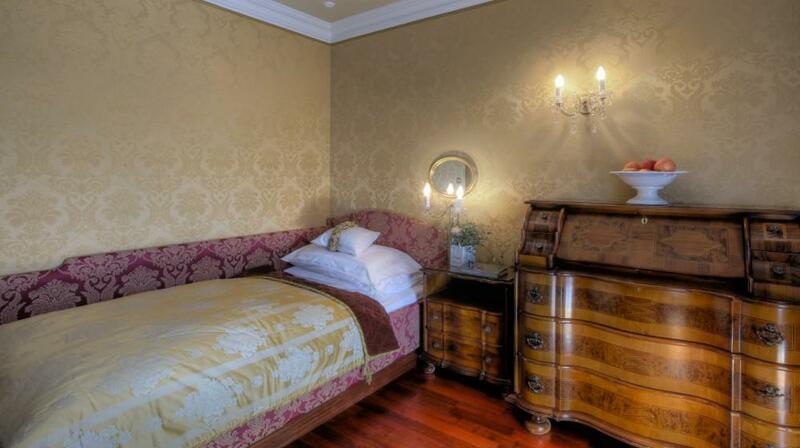 Cot: One child equal or under 1 years is charged € 55.00 per person per night in a child's cot/crib.